A couple of weeks ago, standing on the bank of the beautiful Madison River in Yellowstone National Park on a gorgeous fall day, four trumpeter swans flew right over my head. I watched them with incredible awe and respect just as Audubon did years ago. Trumpeter swans once ranged over much of the interior of the United States, but their numbers decreased as they were shot for their plume feathers in the early 1900s. In 1932, Red Rock Lakes National Wildlife Refuge was established primarily to protect the rare trumpeter swans, which at the time numbered just 69 birds in all the lower 48 states. The 50,575 acre refuge was also created to provide travel corridors and near pristine habitat for far-ranging wildlife out of Yellowstone such a wolves, grizzly bears, elk and moose since animals don’t know about the park boundaries. Every year, we try to make a couple of trips over Red Rock Pass and into the remote refuge, which lies in the relatively wild and undeveloped 385,000 acre Centennial Valley east of the Continental Divide along the Montana-Idaho border. 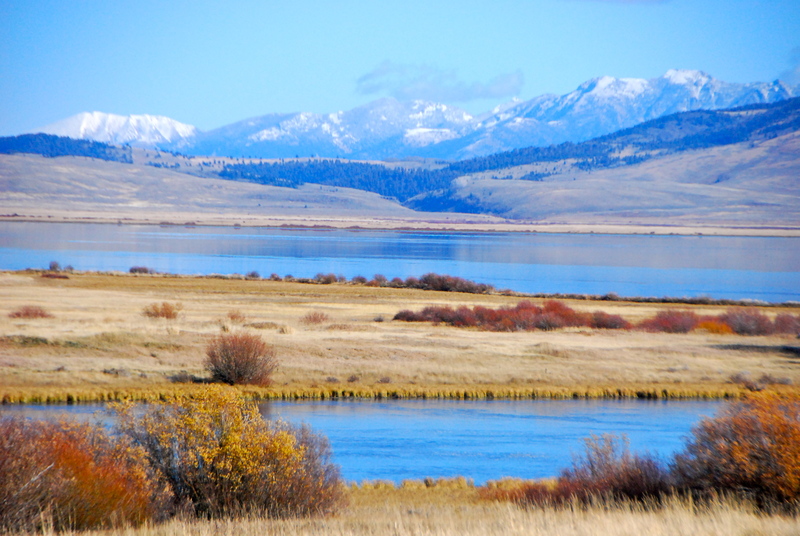 The wildlife refuge, near the headwaters of the Missouri River and 6,600 feet above sea level, is the largest high mountain wetland-riparian area in the Greater Yellowstone Ecosystem. The rugged Centennial Mountains on the south and the Gravelly Mountain range to the north create an awesome border for this high valley. Annual spring runoff from the surrounding mountains replenishes the Refuge’s 16,500 acres of lakes and marshes. 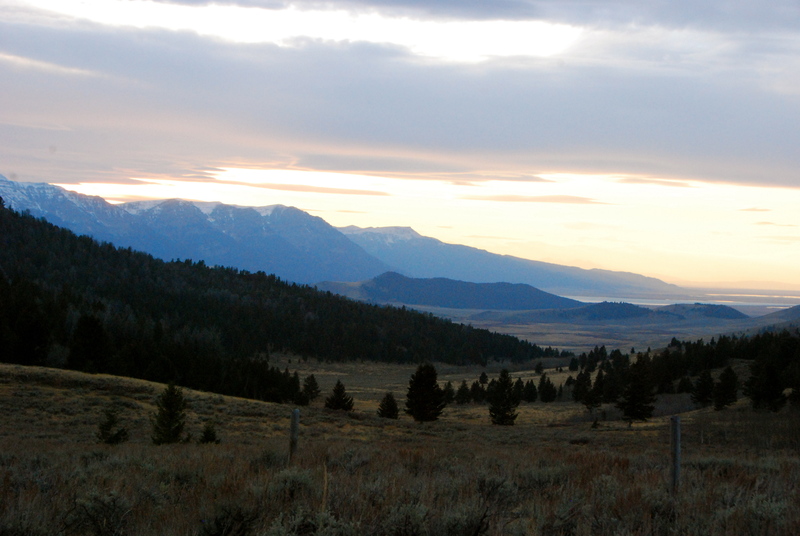 The Montana Natural Heritage Program has rated Centennial Valley as one of the most significant natural landscapes in Montana. A total of 232 species of birds have been recorded at Red Rock Lakes and the Centennial Valley. The trumpeter swan, with an average wingspan of 6.7 feet, is the largest native North American bird and the largest waterfowl species on earth. A very shy bird by nature, the trumpeter swan is extremely sensitive to many human activities and development in or near their habitats. The trumpeter swan population in the Greater Yellowstone Ecosystem, including Red Rock Lakes, has grown slowly to more than 450 birds since 1935. Some moose are year-round residents of Centennial Valley, but most of the elk, deer and pronghorn migrate out of the valley in the winter due to the severe weather. Winter temps can drop down to 50 degrees below zero with snow depths of over 7 feet. The Centennial Mountains are prime hibernation areas for the grizzlies. One late October morning driving across Red Rock Pass into Centennial Valley we spotted a grizzly bear near the side of the road. I quickly grabbed our camera from the back seat but unfortunately the bear disappeared into the trees before I could snap a shot. 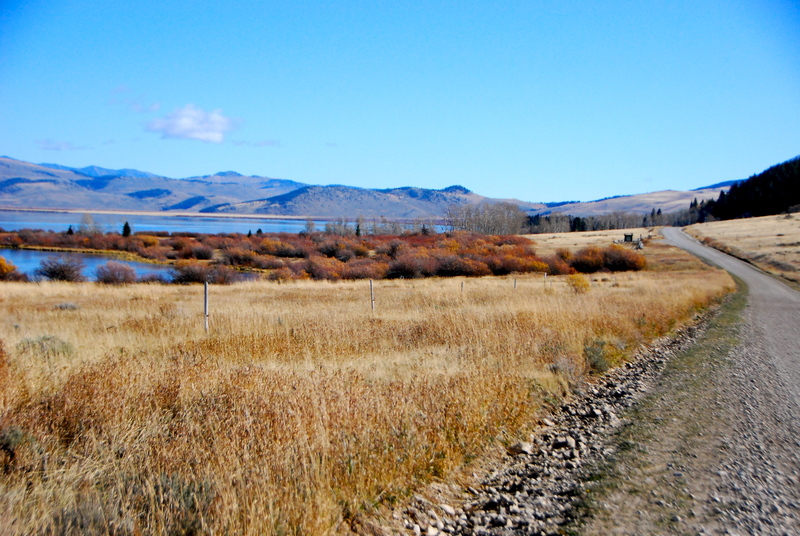 A 60-mile dirt road spans the length of Centennial Valley from Henry’s Lake in Idaho on the east end and to the tiny town of Monida in Montana on the west end. Last year we got a flat tire while driving in the heart of Centennial Valley where you are lucky if you see one other car on some days. After putting on the spare tire (make sure you have a good, properly inflated spare if you drive this road), we were on our way. We absolutely love the remote and undeveloped Centennial Valley and hope they never pave that road. The continued growth of trumpeter swans in the Greater Yellowstone Ecosystem depends in a large part upon the willingness of people to forgo development in Centennial Valley which is one of the few suitable swan breeding habitats.